Getting hurt on the movie set is never cool or fun for anyone. Unless it is a horror movie directed by Sam Raimi. 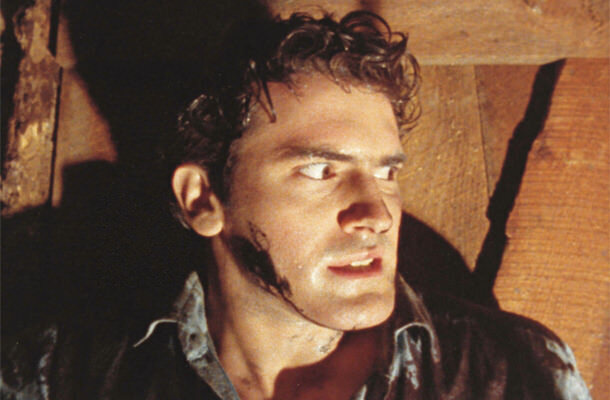 His best friend, Bruce Campbell, was the leading actor of the movie. It all started when Raimi came up with the idea to ride a motorcycle with one hand and holding a camera with the other. Needless to explain, you would have to be out of your mind to try this and hope to succeed. However, Raimi and Campbell didn’t stop to think about it and decided to go for it. As Raimi was riding the motorcycle with the one hand and holding the camera with the other hand, he ran right into Campbell. Campbell fell and screamed, escaping certain injury and maybe even death under the wheel of Raimi’s motorcycle. Just a few more inches to the side, and his head would have been crushed. Talk about a near miss! For some reason the scream the Campbell let out at the point of impact was left in the movie. As you probably know, the movie’s plot involves an evil force that’s running after Campbell, so screaming for real just makes the movie even better. Let’s just hope they won’t try anything like this again next time they shoot a movie together.